Visit the new Journal of Urban Cultural Studies site here. 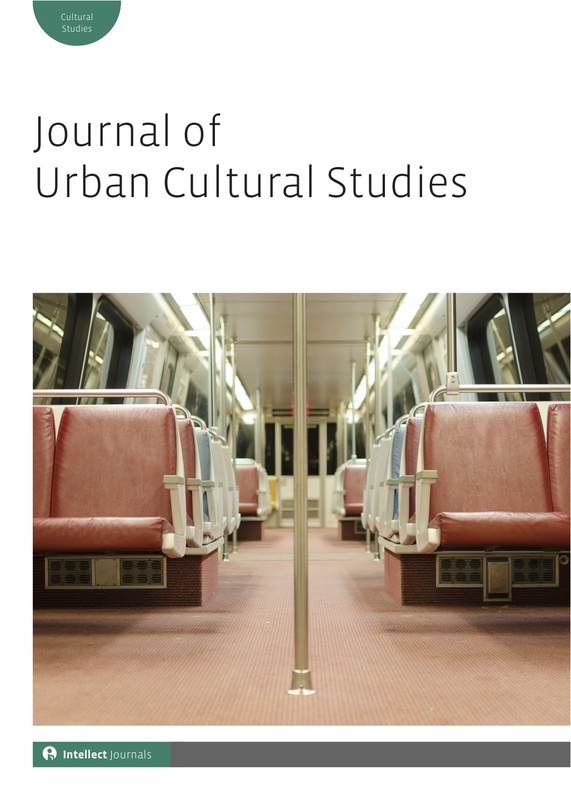 The Journal of Urban Cultural Studies is a new peer-reviewed publication cutting across both the humanities and the social sciences in order to better understand the culture(s) of cities. The journal is open to studies that deal with culture, urban spaces and forms of urbanized consciousness the world over. Although we embrace a broad definition of urban cultural studies, we are particularly interested in submissions that give equal weight to: a) one or more aspects of urban studies (everyday life, built environment, architecture, city planning, identity formation, transportation…) and b) analysis of one or more specific forms of cultural/textual production (literature, film, graphic novels, music, art, graffiti, videogames, online or virtual space…) in relation to a given urban space or spaces. Essays of 7,000-10,000 words (including works cited and notes) should be sent by attachment to the Editor at urbanculturalstudies@gmail.com. JUCS is also open to proposals of special issues by guest editors working individually or in teams of two. All citations in other languages should be translated into English for the journal’s international reading public, in addition to including the original text. While the journal does not publish book reviews, we do publish review essays—which should discuss 3-5 recent books on a shared topic or theme (or place) and run from 2,500 to 4,000 words. Review essays of urban-themed installations or other works of art are also welcome. These essays will be reviewed in house. Given our visual focus, we are interested in original, unpublished artwork on the topic of cities and in publishing articles accompanied by images where appropriate. Yomi Braester. Painting the City Red: Chinese Cinema and the Urban Contract. Duke University Press, 2010. 405 pp. Robin Visser. Cities Surround the Countryside: Urban Aesthetics in Postsocialist China. Duke University Press, 2010. 362 pp. and click here for youtube discussion by the authors of those books.